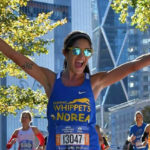 Learn more about Marcie, one of our runners on team Tell Every Amazing Lady® for the 2019 NYC Half Marathon! I have never enjoyed working out and certainly was never a runner. One year ago, I was coming out of a postpartum fog after a stressful high-risk pregnancy and nearly three months in the NICU with my son. I felt an instinctual need to just RUN, so I joined a local group that served beginners like myself. That’s when I hit the runners’ lottery and met, my now running coach, Coach Kai who helped me unlock a love for running and the motivation to get strong. As my ability and ambitions grew, I set out to run my first half marathon! Even as a child, I was never an athlete so this will be my first metal, and I wanted it to be filled with purpose. As I work to get stronger, I witnessed from afar the incredible strength, courage and fight put forth by the marvelous Janet Bunge. 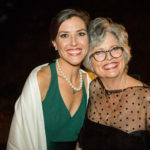 Janet is the beautiful mother-in-law to a dear friend and colleague of mine who was diagnosed with advanced metastatic ovarian cancer last Valentine’s Day. 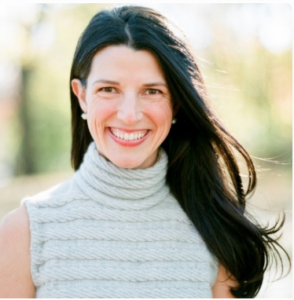 Ironically she was training for the Cincinnati Half Marathon at the time and some unusual pain sent her into the doctor. Thinking it would simply be overexertion, they discovered abdominal tumors which led to her ultimate diagnosis. But even as ovarian cancer entered Janet’s ring, she has never missed a beat and her relentless and positive approach to treatment is truly inspiring. Not only does she look fabulous everyday, she even has made chemo look fun with her “chemo theme-os” when she and her family bring costumes and decor to brighten the mood and help pass time during length transfusions. Some of my favorites were the Hawaiian Luau, Wonder Woman, Emojis – and the list goes on. Janet has rebounded like a true champion after a reductive surgery and ten (and counting) courses of chemotherapy. I will always be in awe of her strength and contagious love for her friends and family. 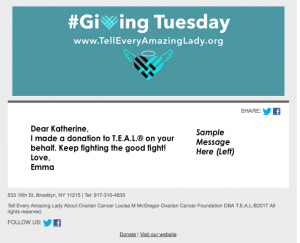 I am honored to run with Team Tell Every Amazing Lady® in honor of Janet’s fight. Everyone is cheering loud and clear for Janet’s free-of-cancer victory, and it will be hers – the greatest metal of all.